I was attending as a panel member at the EU high level conference on “Modern Biotechnology in Agriculture – Paving the way for responsible innovation”, September 28, 2017 in Brussels. The basic question to be addressed at the conference – and in EU at the moment – is how to regulate products of new genetic engineering techniques like CRISPR/Cas, Zinc Finger Nuclease technology and other techniques. Should they be regulated within the scope of EU legislation on genetically modified organisms (GMOs) with corresponding risk assessment and labeling? Or should they be exempted from GMO legislation and defined as non-GMO without risk assessment and no labeling to consumers? The message from consumers and other NGOs is clear: The GMO legislation should be fully applied to products of the new techniques. The Transatlantic Consumer Dialogue TACD has published a resolution on consumer concerns about new genetic engineering techniques, which is in line with a joint position paper from eight other NGOs: The new techniques are definitely GM techniques. The products must be risk assessed and labeled due to consumer concern and the risk of unintended effects from the techniques. The entire debate at the high level conference was a complete déjà vu of the GMO debate of the latest decades: The new techniques are presented with promises that they will save the world by defeating hunger and climate changes, the techniques are claimed to be completely similar to what nature does all the time, and threats are made that Europe will lose to Asia if we do not act fast. As fast as possible seems to be the mantra. Few of the panel participants acknowledged the value of slowing down. I think that is worrying. To my opinion, the speed is one of the major reasons that products of new biotechnology techniques are NOT the same as nature’s own occasional mutations. Nature has an inherent slowness and randomness that can be seen as a protection against too large changes and loss of biodiversity. The more humans try to speed up and control the processes, the greater the need becomes for other protection mechanisms in terms of regulation. Speed is one of the major reasons that products of new biotechnology techniques are NOT the same as nature’s own occasional mutations. To me, it seems obvious that the new biotechnology techniques are covered by the GMO legislation. According to the legislation, a ‘genetic modified organism’ is defined as an ‘organism, with the exception of human beings, in which the genetic material has been altered in a way that does not occur naturally by mating and/or natural recombination’ (EU Directive 2001/18, Article 2.2). In the legislation, a few exemptions are made, which are processes with a ‘long safety record’. The techniques to be exempted are presented as a closed list. As pointed out by Jorgo Riss from Greenpeace during one of the panel sessions at the conference, it is quite important that the definition in the legislation states that GMOs has genetic changes that ‘does’ not occur naturally. It does not say ‘could’ not occur naturally. Therefore, products of new biotechnology techniques, that theoretically ‘could’ occur in nature, but ‘does’ not, would still be GMOs. That conclusion is definitely being challenged by the agricultural and biotechnology industry. And the biased audience at the conference had as expected a majority supporting the view to see those products as non-GMOs. We heard many times words like consumer protection, safety, responsibility, transparency, dialogue etc. But it was obvious that growth and competition were much more important words to the sector. And we also need to bring the discussion to a higher level: What kind of agriculture do we actually want – do we want an agriculture driven by biotechnology and monocultures of crops with altered, specific single properties? Or do we want a lot more diverse agriculture that develops more naturally and random? It was obvious that growth and competition were much more important words to the sector. The question of whether to define the products of new biotechnology techniques as GMOs or not, is still being debated judicially and scientifically. We are waiting for the EU Commission to decide how to interpret the legislation. In the meantime, I will call on legislators to listen to the consumer concern. European regulation should be driven more by consumer protection interests, not only by competition interests. The author is a Senior Food Adviser in the Danish Consumer Council since 2001. She has an MSc in Food Technology and nutrition and a PhD in molecular microbiology. Her areas of expertise are: consumer-related EU food policy, food labelling, nutrition, and biotechnology. 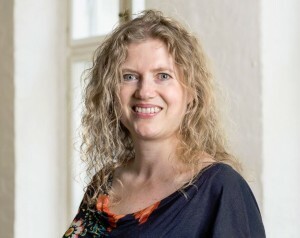 Camilla represents consumers in several Danish food-related committees and she is a member of the food expert team and the food reference person groups of the European Consumers’ Organisation, BEUC.